By coincedence, I'm in Barcelona when this study hit the news. It shows the health benefits of a (well-planned, helmet law free) bike share programme. The Barcelona Bicing programme is attributed to saving 12.46 lives a year, each year since it's launch, as well as reducing carbon dioxide emissions. What is also important to consider is that a bike share system encourages private bicycle usage. 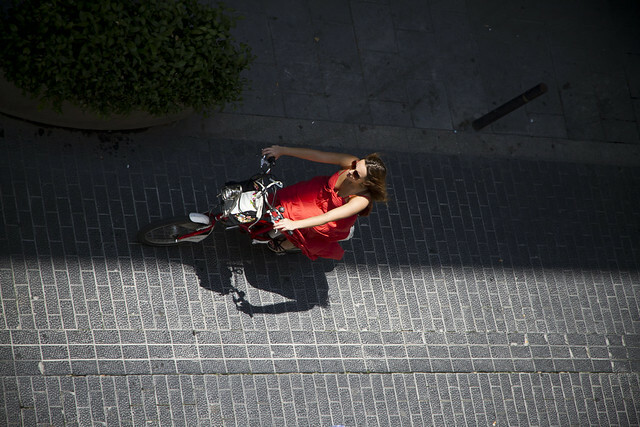 It serves to reestablish the bicycle on the urban landscape. For example, in Paris, 2 million private bicycles have been bought since the city launched it's bike share programme, Vélib'. Which is why the comment by Simon Birkett, founder and director of Clean Air in London, in the Guardian article about the study shows the usual lack of vision regarding Bicycle Culture 2.0. A bike share programme won't save a city but it is one of the most important tools towards that end and worth every penny. Here in Barcelona you see many Bicing in action but there are even more private bicycles on the streets and bike lanes.